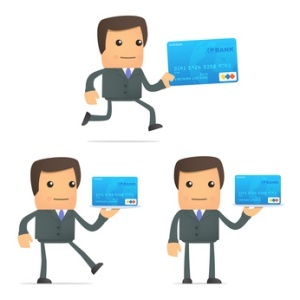 Over the last several years several different credit card offerings – including Sky credit cards and Egg credit cards – have been discontinued and their membership bought out by Barclays and offered their choice of the appropriate Barclaycard to replace their now defunct credit card. The good news was though that as Europe’s largest credit card issuer Barclaycard has a number of great basic options to offer to their customers. The Barclaycard, offered by Barclays Bank PLC, was Britain’s first credit card offering when it debuted in 1966. These days the Barclaycard is a part of the larger Visa network and offers both MasterCard and Visa credit cards. More people in Europe still carry a Barclaycard of some sort over any other credit card and if you are considering applying for one here is a breakdown of some the most popular of the Barclaycards available. The Barclaycard Initial credit card is designed for younger consumers who have not had a chance to build up much of a credit profile yet. Barclaycard Initial card holders are offered a fairly low credit limit initially, usually around £250, but that can be reviewed for a possible increase once the card holder has established a good payment record. The APR charged on the Barclaycard Initial is a fixed 29.9%. although really a “starter” credit card Barclaycard benefits like Freedom and Unwind. Barclaycard Freedom is the rewards program attached to most non branded Barclaycards, Credit card holders earn reward points on every purchase they make at participating retailers. The neat thing about the reward money earned through the program is that credit card holders are automatically notified at the time of any purchases if they have reward money available to apply to their purchase and are offered the chance to do so on the spot. With no vouchers, coupons or codes to redeem it is one of the easiest to use rewards programs offered by any credit card company. Barclaycard Unwind, which is also available to most Barclaycard holders is a program that offers card holders discounted and often exclusive access to tickets to various live music concerts. The Barclaycard Gold credit card is a good choice for those with a reasonably good credit rating who want to transfer credit card balances from a high interest credit card to the lower interest Barclaycard Gold while still enjoying all the benefits of rewards programs like Barclaycard Freedom and Barclaycard Unwind. In order to apply for a Barclaycard Gold consumers must be over the age of 21, have a reasonably good credit profile and earn more than £17,500 per annum. Once approved card holders are offered 0% interest on balance transfers for 12 months and a reasonable 19.9% APR after the initial period has expired. Purchases are accessed at 19.9% from day one of Barclaycard Gold credit card membership. The Barclaycard Orange credit card is offered in partnership with the Orange Telecom company and offers customers with a fairly good credit rating the chance to get a Barclaycard that can earn them valuable savings on their phone ill as well as access to exclusive entertainment offers and discounts. In order to apply for a Barclaycard Orange credit card customers must be over 21 and the card is not offered to full time students. Although perfect credit is not required you cannot have had a missed payment on a mortgage or other credit card within the previous 12 months in order to be approved. Once approved Orange credit card holders enjoy a reasonably 18.9% APR after an initial 3 month 0% APR on purchases has expired. For every £1 spent on their Barclaycard Orange credit card card members earn 1 reward point. These reward points can be redeemed for money off their Orange phone bill, or for extra credit if they are pay as you go mobile customers. Orange credit card customers are also offered exclusive tickets and discounts to a number of concerts and sporting events as well as savings coupons to be used at selected high street stores. The Barclaycard Thomas Cook credit card, offered in conjunction with the travel giant offers customers a great way to earn rewards that can redeemed towards any holiday offered at Thomas Cook or Going Places. In order to apply for a Thomas Cook credit card consumers must be at least 18 years old and not a full time student. Reasonable credit is required, usually having missed a mortgage or credit card payment within the previous 12 months will disqualify a consumer form being accepted for a Thomas Cook credit card. If they are accepted for, and granted, a Barclaycard Thomas Cook credit card cardholders are given an introductory 0% APR on purchases for 3 months with the regular APR rising to a reasonable 19.9% APR thereafter. Cardholders earn Travel Pounds on almost everything they purchase with their Thomas Cook credit card. These are rewarded at the rate of 1% spent, in other words for every £100 spent card members earn 1 Travel Pound. Travel Pounds can then be applied to the cost of any holiday or trip booked on the Thomas Cook credit card at either Thomas Cook itself or at Going Places. For those who enjoy shopping at the big high street clothing stores this rewards credit card offers a good MasterCard branded credit card that can be used anywhere that MasterCard is accepted while it earns cardholders valuably rewards and savings that can be used when shopping at BHS, Burtons, Evans, Wallis and Dorothy Perkins. In order to apply for the BHS MasterCard consumers must be over 18 years old and have a reasonably good credit profile (n missed mortgage or credit card payments in the preceding 12 months.) If approved for, and granted a Barclaycard BHS MasterCard cardholders are offered 0% interest on all purchases for 3 months and 0% interest on purchases made at BHS for six months, They are also offered 0% interest on balance transfers for 9 months. After these initial offers have expired interest is charged on all purchases and balance transfers at 19.9% APR. As they shop BHS Mastercard holders earn reward points on almost every purchase they make. General purchases earn rewards at a rate of 1% but purchases made at BHS, Dorothy Perkins, Wallis, Evans and Burton stores earn a very nice 5%. In addition card holders are awarded double points on the first BHS purchase they make when they first receive their card.